To all my fellow PBS/BBC mystery lovers, here's a new type of show that we just discovered and like very much. 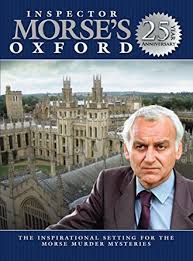 It's an 84-minute DVD titled " Inspector Morse's Oxford." It's a wonderful companion piece, as they say, for all Inspector Morse mystery lovers. 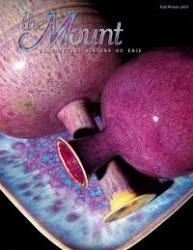 It was produced for the 25th anniversary of the TV series and was filmed right in Oxford. The narrators are none other than the author of the Morse books, Colin Dexter--and let's be honest, from the get go he comes across as a classic quirky Brit, as well as the actor that plays Morse's assistant and later star of his own PBS series, Inspector Lewis, Kevin Whately. I checked: amazon.com has it and pretty cheap! P.S. You see the problem is that we are actually running out of series that we haven't seen...I mean the really good ones: Vera, Foyle's War, Morse, Lewis, Midsomer Murders, Hamish MacBeth, Dr. Blake mysteries, Brokenwood, Shetland, DCI Banks, Brother Caedfel, Grantchester, Endeavor, Bletchley Circle...see what I mean? !